side. Not to mention it makes you feel like you’re eating the foods of the gods. 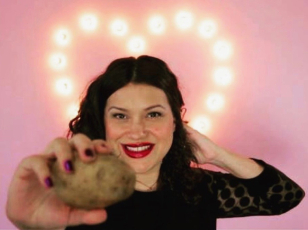 I probably felt that way since I used Cacique’s yogurt smoothie in Strawberry Banana flavor. 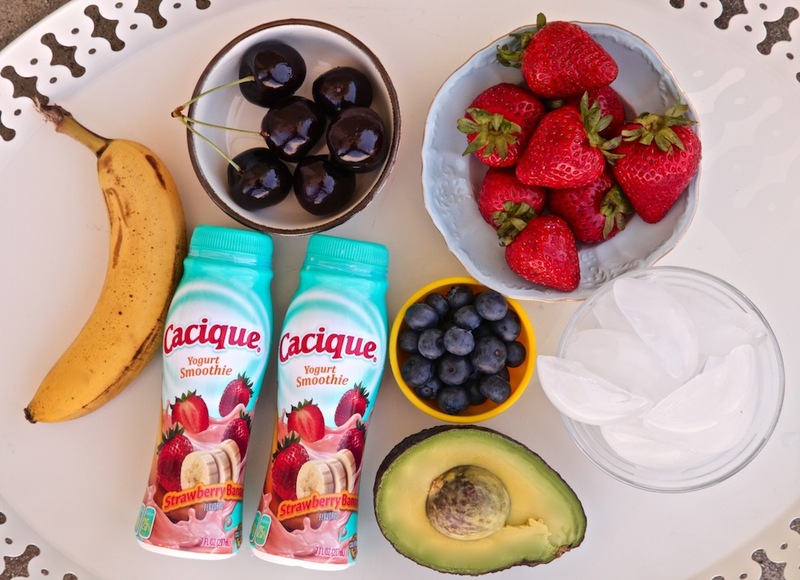 Cacique’s yogurt smoothie is rich in protein, a great source of calcium and probiotics (25% of Daily Value), and low in calories and cholesterol. For those of you watching your gluten, all Cacique’s yogurts are gluten free with the exception of the three with cereal: Strawberry Banana w/cereal, Prune w/cereal, and Pecan w/cereal. 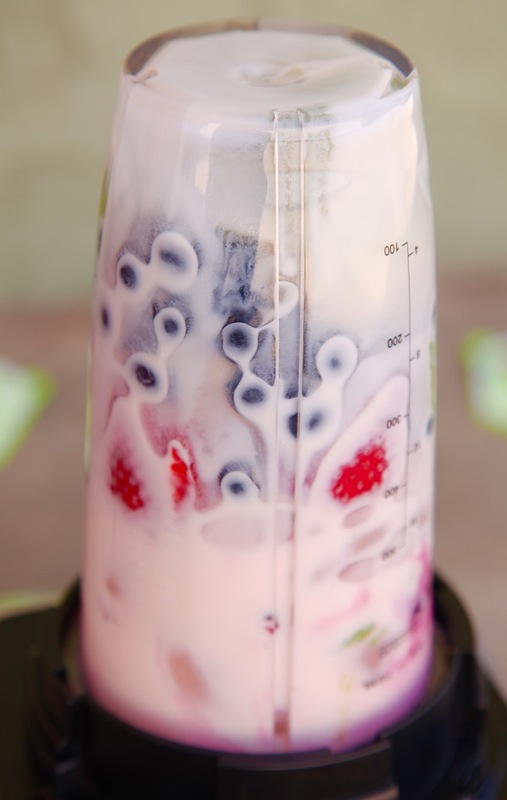 Once I blend my Cacique yogurt smoothie with more berries, fruits, and ice, I like to pour it in a bowl and add more flavors and textures to the top. 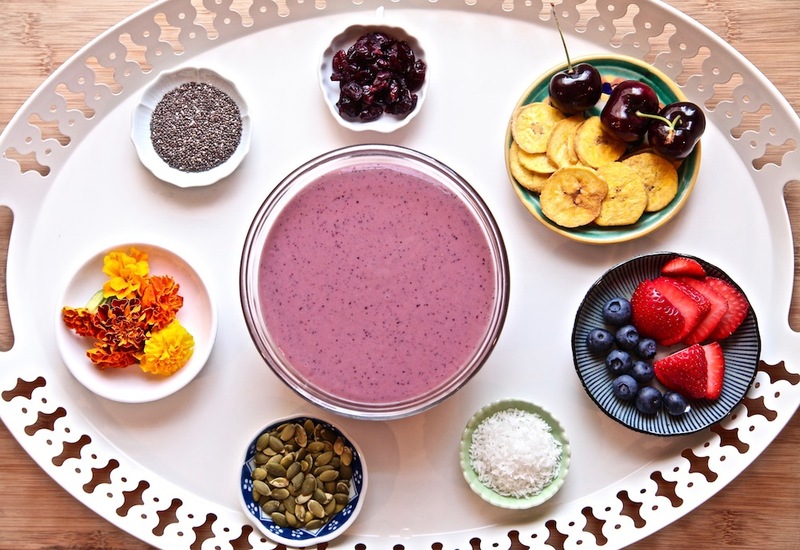 Me and my family then eat it like a bowl of cereal, or have it as a late night treat. 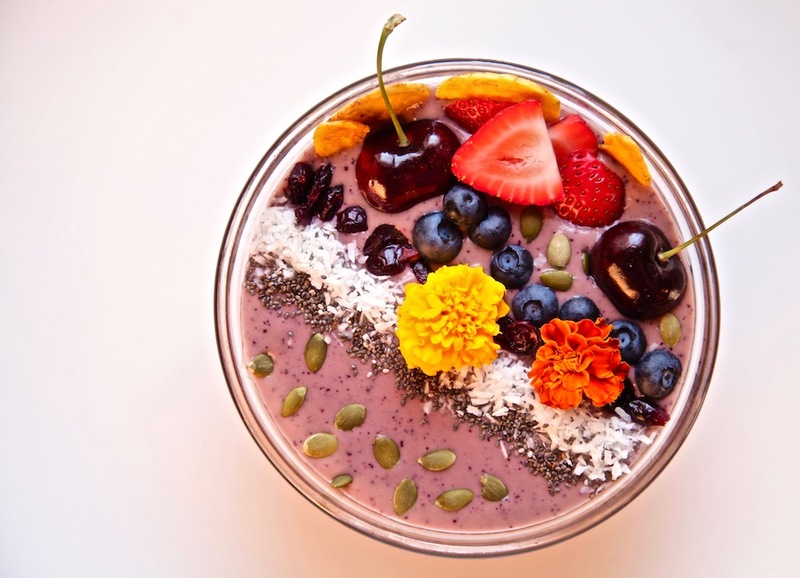 Either way this smoothie bowl is all about feeling better than fine. 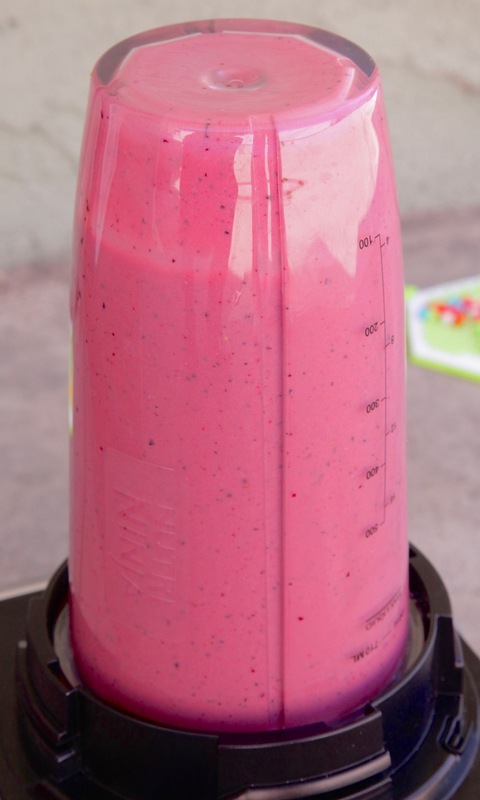 Place all smoothie ingredients in a nutribullet or blender and blend until smooth. 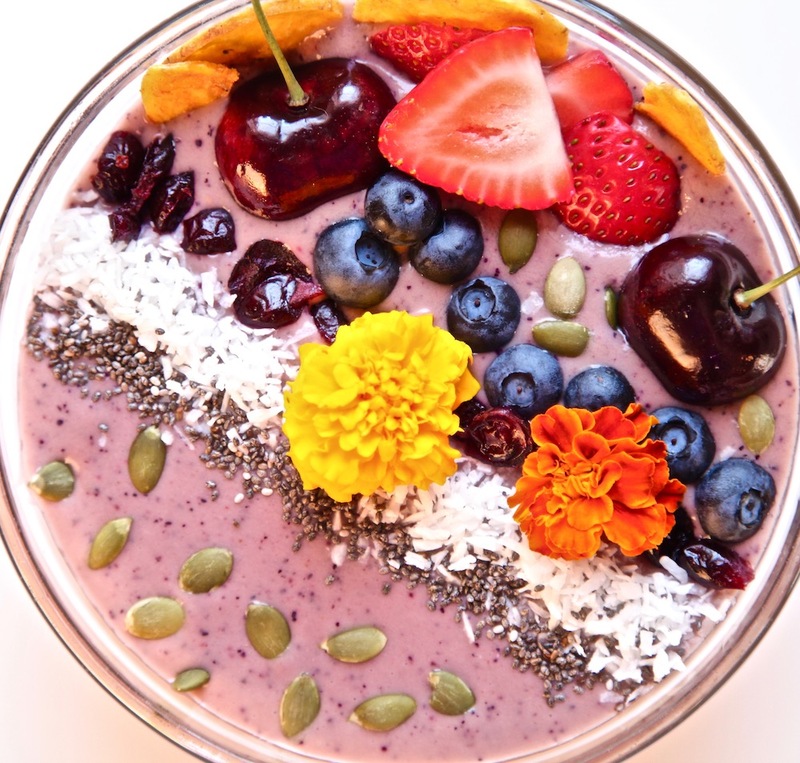 Decorate top of smoothie bowl as pretty as you wish.